Atlantic Dermatology , PA always appreciates feedback from our valued patients. To date, we’re thrilled to have collected 427 reviews with an average rating of 4.86 out of 5 stars. Please read what others are saying about Atlantic Dermatology , PA below, and as always, we would love to collect your feedback. I have found NP Wheeler to be friendly, competent and professional. I would highly recommend her. 100 % satisfied. Dr Crane knows his profession well and takes the time to explain everything to you. He is an excellent dermatologist and his staff is great Glad I chose Dr Crane to be my dermatologist. Carla was amazing! I told my Mom she needed to see her in Clinton. She was so kind and helpful! They are very aware of your needs. Very professional. Dr Crane is professional and thorough. Highly recommend this practice. Dr. Cook and his staff were awesome and did a great job on my MOHS procedure. I don't like to go to doctors! I was made to feel very comfortable though. Great doctors, office and staff. Dr. Cook was very professional, expedient and thorough during my 2 appointments with him. The whole staff is personable! They are not exhausted with your questions or your concerns! Professional advice was given and time! Professional, courteous and prompt care. I highly recommend!!! Dr. Cook and the rest of the staff were very professional and friendly. First office visit with Dr. Wheeler. It was confined to a follow-up visit for pre-cancerous lesion assessment and treatment as needed. Froze approx. 15 areas. No biopsies needed. I have used Dr Crane for many years. I have always had prompt service and great care. I appreciated the promptness in the professional and friendly service. Liked Dr. Sahleh. Dr. Crane is more pushy. Waited over an hour to be seen. 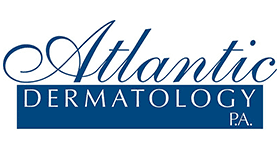 My experience with Atlantic Dermatology was great. From the smiles and help at check in window to the check out. The staff was very friendly and made me feel really at ease throughout my exam and procedure.